Park life is thriving in the North East - as a prestigious national scheme has revealed. A total of 39 parks across the region have been given a Green Flag Award after being judged among the best in the country. Environmental charity Keep Britain Tidy has revealed they are among a total of 1,476 nationwide which provide a quality green space. Durham has pride of place in the region as it is in the UK Top Ten of places with the most Green Flag Awards - 15 in all - making it joint eighth alongside the City of London and Bournemouth. Meanwhile first-time winner Newcastle University is one of only 11 universities in the UK to boast a Green Flag Award for its King’s Campus . The Green Flag Awards are judged every year by a small army of 700 volunteer judges who visit applicant sites and assess them against eight separate criteria, including cleanliness, sustainability and conservation. 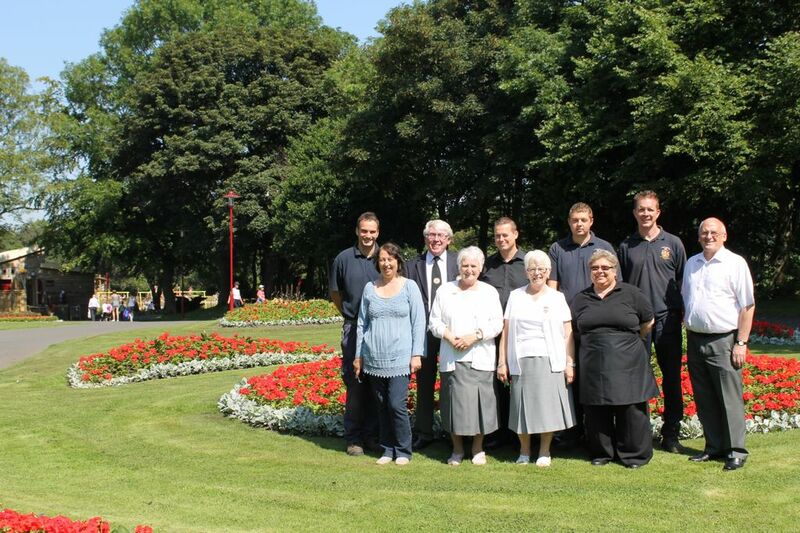 Parks in North Tyneside received five awards. Coun Eddie Darke, cabinet member for Leisure, Culture and Tourism, said: “We’re extremely proud of our parks, and the awards reflect our commitment to ensuring they are wonderful places for residents and visitors, alike. The news follows the completion of a £7m restoration project of Wallsend Parks. Finished earlier in the year, it included a complete renovation of its 40 acres of woodland walks and gardens, a new café, tennis courts, skate park, community room for hire, bowling greens, sculpture trail and restored Victorian bandstand. Northumberland landed six awards. Councillor Ian Swithenbank, policy board member responsible for parks at Northumberland County Council said: “They highlight and recognise that residents and visitors are benefitting from green spaces of the very highest quality. 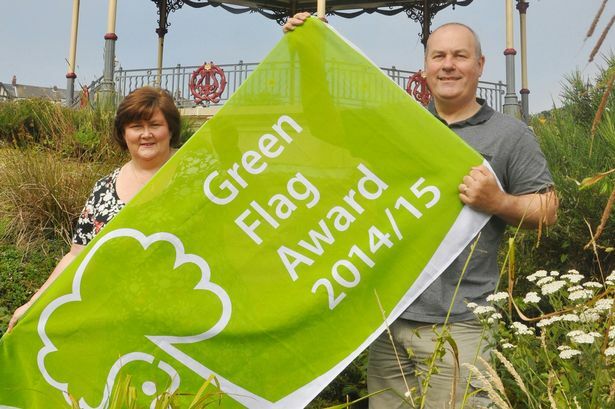 And for the sixth year in a row, South Marine Park in South Tyneside received the Green Flag. Councillor Tracey Dixon, Lead Member for Area Management and Community Safety at South Tyneside Council, said: “South Marine Park is a real jewel in South Tyneside’s crown and we are thrilled that once again it been given national recognition with a prestigious Green Flag Award. Other awards went to the likes of Saltwell Park in Gateshead as well as Heaton Park, Jesmond Dene and Paddy Freeman’s park in Newcastle. Paul Todd, Keep Britain Tidy’s Green Flag Award scheme manager, said: “We are delighted to announce yet another record-breaking year for Green Flag Award parks and green spaces. “A Green Flag Award provides national recognition for all the parks managers, staff and volunteers who, through their dedication and hard work, have helped to create these fantastic places for everyone to enjoy. Friends of Brierdene, North Tyneside. Old Bakehouse Millennium Green Trust, Morpeth.